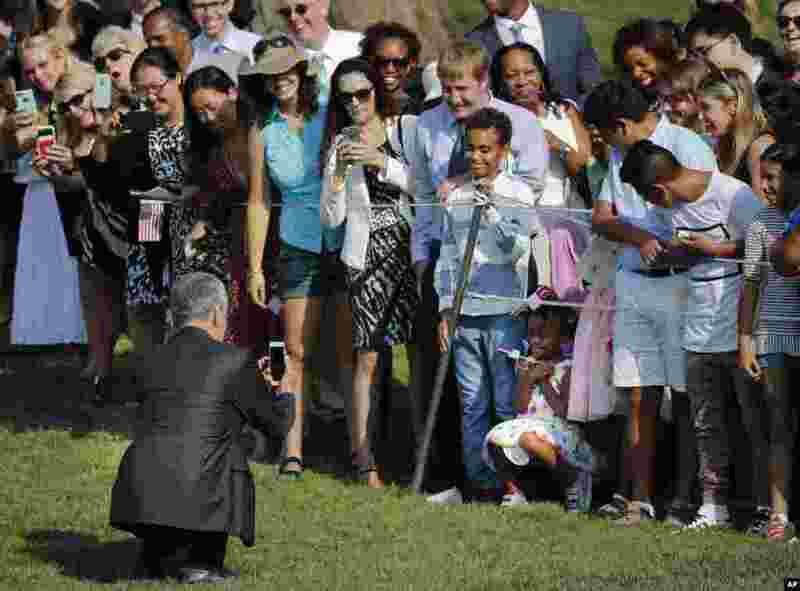 1 Singapore's Prime Minister Lee Hsien Loong uses his cell phone to photograph a young girl as other guests watch during a state arrival ceremony on the South Lawn of the White House in Washington. 2 A worker fills bottles with Alta, a red dye which Hindu women apply with cotton on the border of their feet during marriages and religious festivals, at a workshop in Kolkata, India. 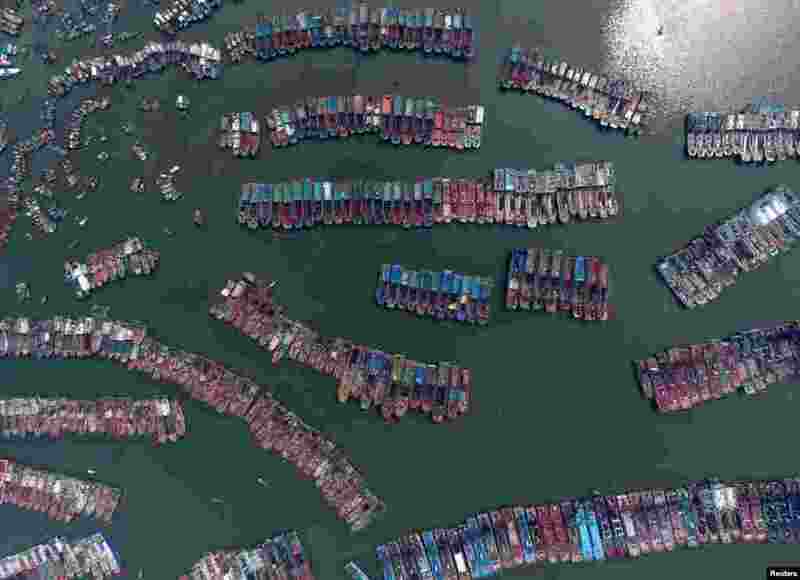 3 Fishing boats are parked in a port as Typhoon Nida approaches Guangzhou, Guangdong Province, China, Aug. 1, 2016. 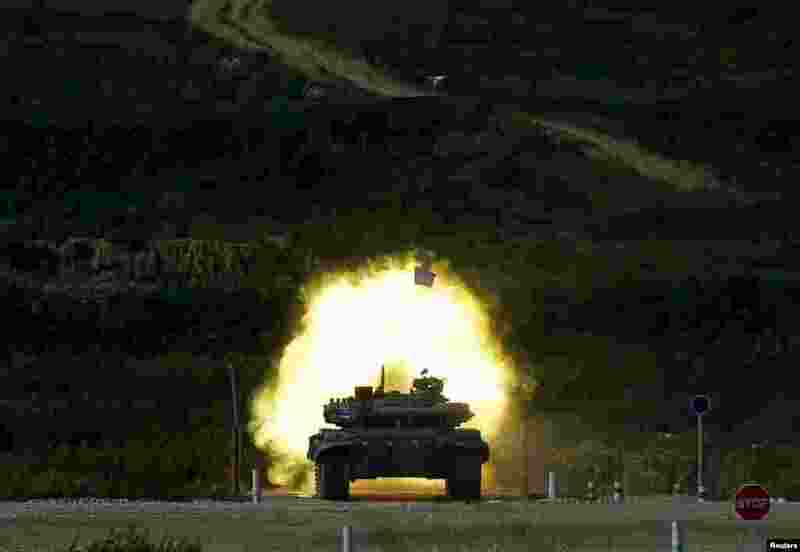 4 A T-72 tank, operated by a crew from Kazakhstan, fires at a target during the Tank Biathlon competition, part of the International Army Games 2016, at a range in the settlement of Alabino outside Moscow, Russia.